Chilean President Michelle Bachelet’s formal apology to the country’s Mapuche Indians, for the “mistakes and atrocities” committed against them by the Chilean state, is seen by indigenous and social activists in the central region of Araucanía – the heartland of the Mapuche people - as falling short. 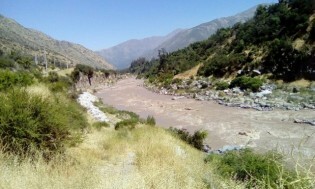 The lands where the Mapuche indigenous people live in southern Chile are caught up in a spiral of violence, which a presidential commission is setting out to stop with 50 proposals, such as the constitutional recognition of indigenous people and their representation in parliament, in a first shift in the government´s treatment of native peoples. After 26 years of democratic governments, Chile has finally passed a law that defines torture as a criminal act, but which is still not sufficient to guarantee that the abuses will never again happen, according to human rights experts. Women leaders from every continent, brought together by U.N. Women and the Chilean government, demanded that gender equality be a cross-cutting target in the post-2015 development agenda. Only that way, they say, can the enormous inequality gap that still affects women and children around the world be closed. Women’s participation in decision-making is highly beneficial and their role in designing and applying public policies has a positive impact on people’s lives, women leaders and experts from around the world stressed at a high-level meeting in the capital of Chile. This weekend, at the invitation of President Michelle Bachelet and myself, women leaders from across the world are meeting in Santiago de Chile. We will applaud their achievements. We will remind ourselves of their contributions. And we will chart a way forward to correct the historical record. History has not been fair to women – but then, women usually didn’t write it. Chile, one of the most conservative countries in Latin America, is getting ready for an unprecedented debate on the legalisation of therapeutic abortion, which is expected to be approved this year. The Chilean government rejected Tuesday the controversial HidroAysén project for the construction of five hydroelectric dams on rivers in the south of the country. The decision came after years of struggle by environmental groups and local communities, who warned the world of the destruction the dams would wreak on the Patagonian wilderness. Chile appears to have learned a few lessons from the 2010 earthquake and tsunami, and it successfully drew on them the night of Apr. 1, when another quake struck, this time in the extreme north of the country. For the past four years, the foreign policy of Chile, South America’s “miracle”, has focused more on economic than political issues. For 14-year-old Isadora Riquelme and thousands of other Chilean teenagers, the chance of getting the university education they want depends on the reforms that Michelle Bachelet has promised to undertake when she takes office as president again in March. The promised structural reforms to modify the political system inherited from Chile’s 1973-1990 dictatorship and reduce the severe social inequalities in the country propelled Michelle Bachelet to a resounding triumph in the Sunday Dec. 15 runoff election. Voters fed up with the extremely unequal distribution of wealth and power in Chile are expected once again to elect a centre-left government Sunday. "There's something sexist about saying that the candidates are two women. Has anyone ever remarked on it when the candidates are two men?" former Chilean president Michelle Bachelet complained about comparisons between herself and her main rival in the presidential elections, rightwing candidate Evelyn Matthei. Diversifying the energy mix and the spectre of energy shortages in Chile are central issues in the campaign for the primary elections this Sunday Jun. 30, when presidential candidates will be nominated for the Nov. 17 elections.